No bake brownies are a great treat no matter what time of year, but in the summer, who needs to or wants to turn the oven on? 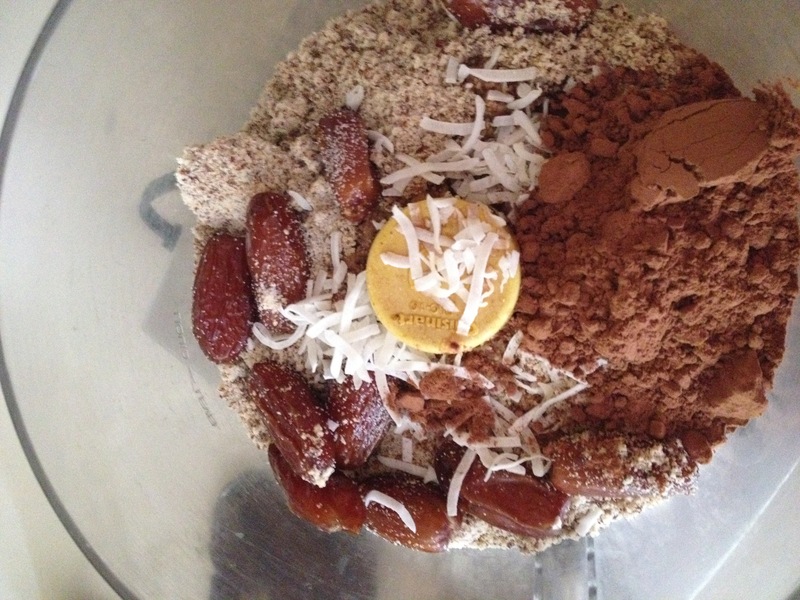 I modified these from what I had made before to include almond flour , as it also easier to use than raw almonds . It makes it easier for sure but just as tasty. And instead of sugar in original recipe, I used dates. Yes, dates. Then I added flax seed meal for added fiber, to slow down absorption of sugars. The end result is very tasty! I think they take me 15 minutes total time. I did say 'easy', right? I sometimes use it for part of a recovery meal after I ride my bike, swim, run or play tennis. So any athlete would love these - easy to make, easy to eat, easy to store and transport, too! Refrigerate for 2 hours, then cut into squares.